This is one of the longest projects I’ve worked on – over a year. Although really it was only a couple of days work, it’s just that those 2 days were a long way apart. The tongue and groove panels are a loose fit in grooves that are routed into the posts and rails. Then all the edge pieces are doweled together. I managed to buy the wooden balls quite cheaply from an online art shop. 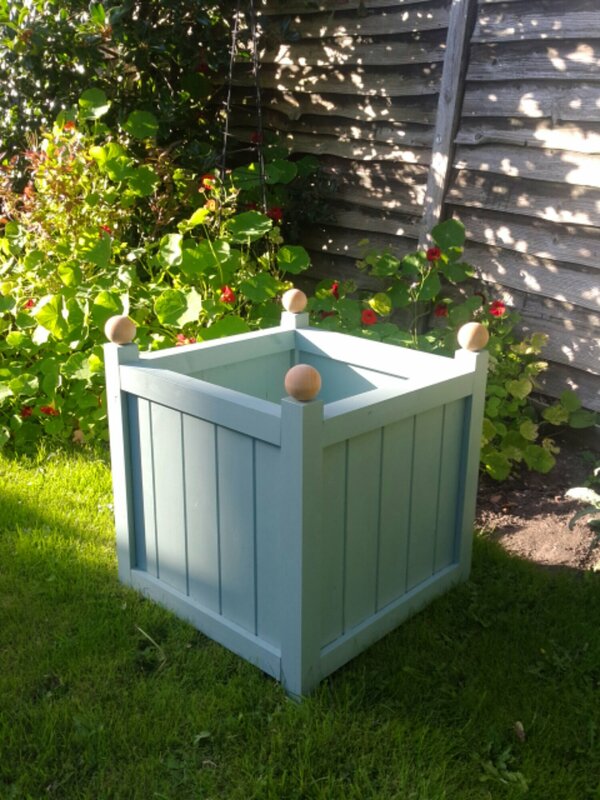 It is all made from untreated softwood so it got two coats of preservative before being painted with Cuprinol Shades, this colour is Seagrass. The plan is to put some kind of fruit tree in it, maybe a pear? 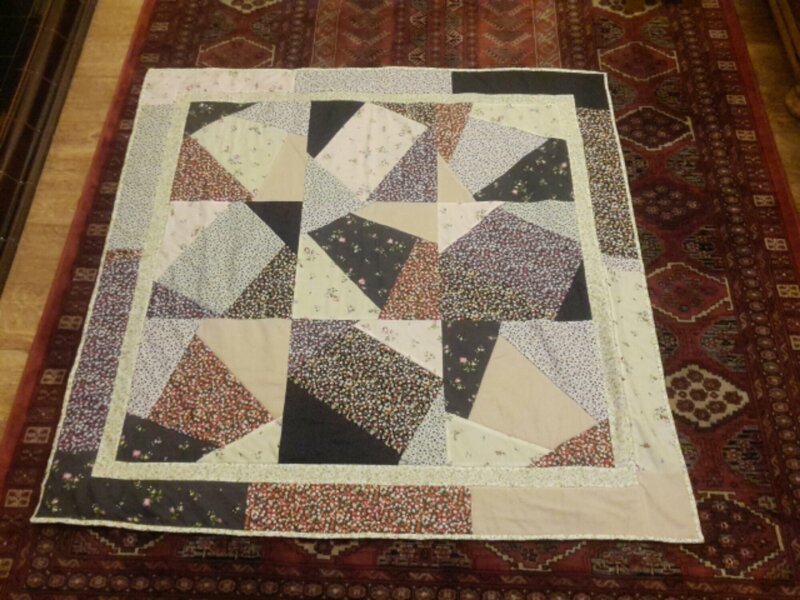 Here is a reasonably large quilt (bottom picture) I made because I got an urge. I used the ‘stack and whack’ technique from Kirsty’s Craft book and I backed it with fleece. I am happy with it despite there being quite a lot of mistakes. 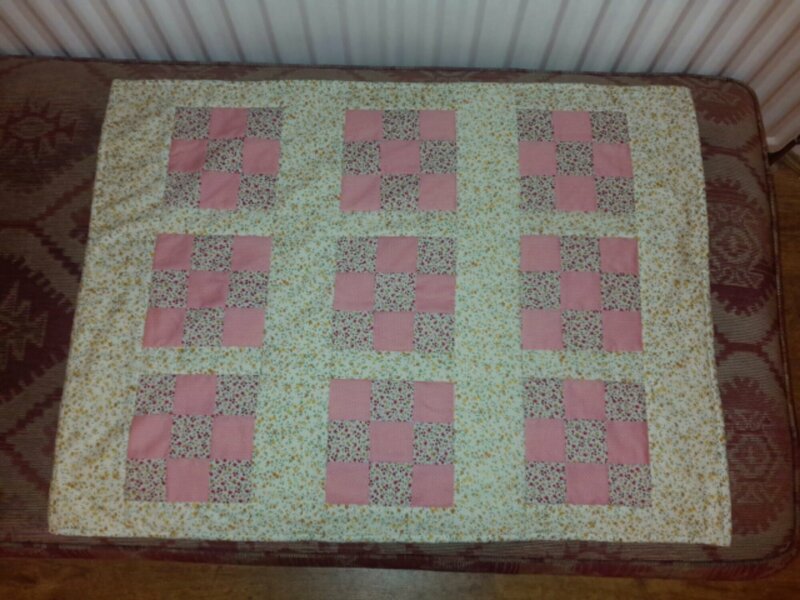 With the left over scraps of fabric I’ve made a mini quilt for Bethan (top picture) and I should still have enough left for a cushion. 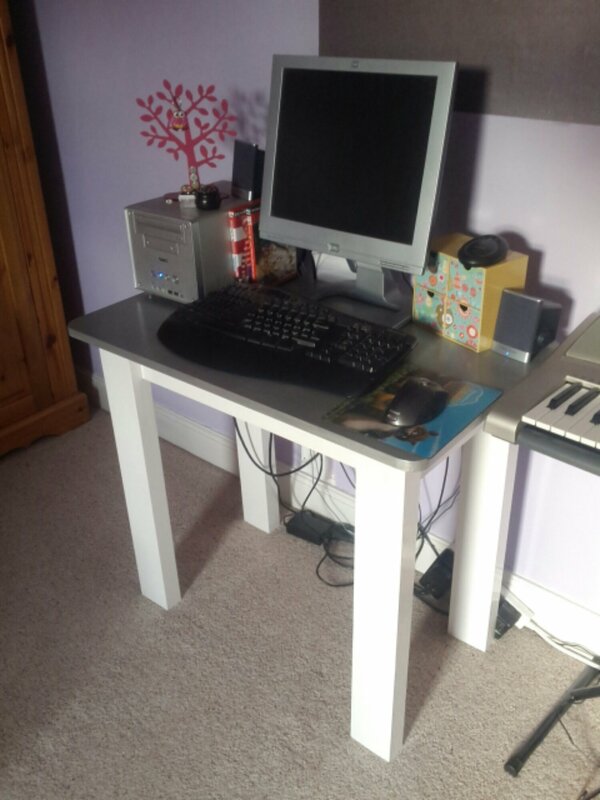 Here’s a computer desk I made for Bethan. I used Matthias Wandel’s plans from his excellent woodgears site (plans here) for a simple table but shrunk them down. The top is a ready made furniture board from a diy shop, which I used because I thought it would look good. Then Bethan decided she wanted it painted so it probably would have been cheaper to use MDF. This is one of my ‘learning woodworking’ projects so it isn’t very neat but it does the job.